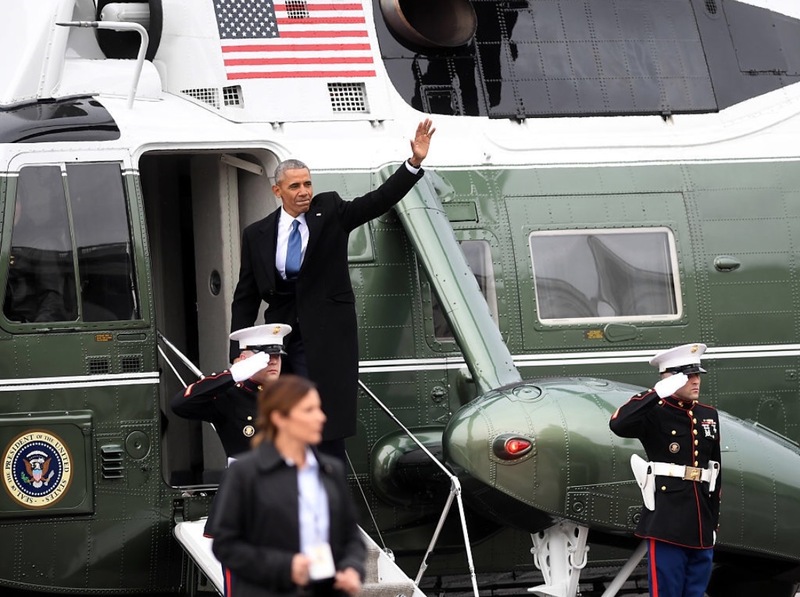 After the swearing-in of President Donald Trump earlier today, Barack and Michelle Obama made their final departure from the White House. They stood on the rain-soaked steps of the U.S. Capitol, Barack in a crisp suit with a blue tie and Michelle in a simple red belted dress and matching coat, waiting for Mission One to take them away to Palm Springs, California. They stood looking out at the people, next to President and First Lady Trump in powder blue. And then Barack made one small, simple gesture that melted the hearts of anyone who saw it. And what's that look Melanie is giving Trump?